Wherever you end up at the end of the day, it’s good to know that you can always carry this collection of mini skin delights with you. 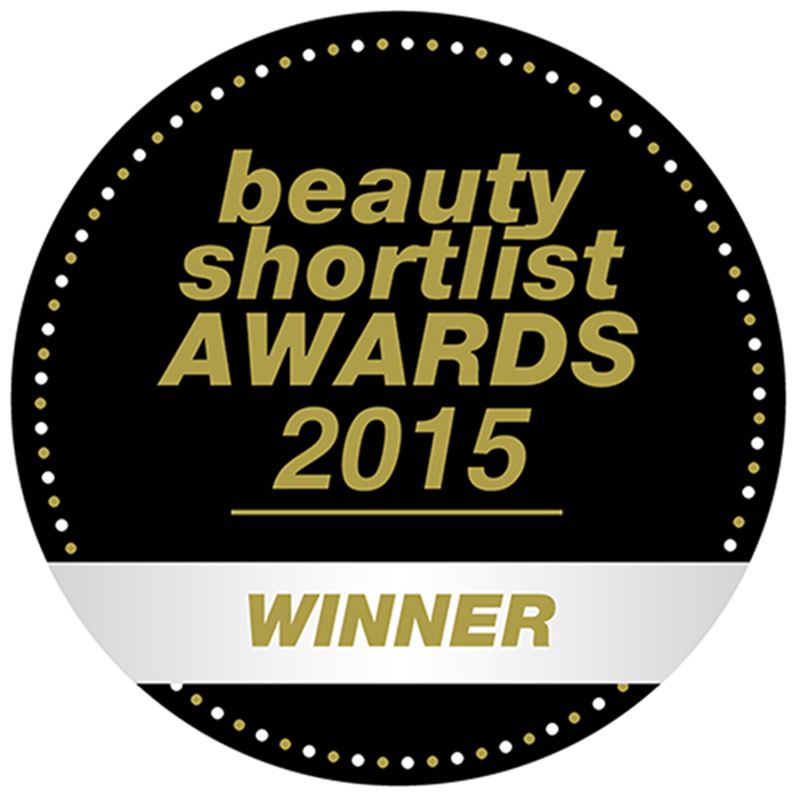 Enjoy these natural minis that nourish your skin and restore essential moisture. This wonderful kit contains a Beeswax Lip Balm Tube, a Mini Coconut Foot Cream, a Mini Milk & Honey Body Lotion, a Mini Hand Salve and a Mini Soap Bark & Chamomile Cleansing Cream. Yes, they’re all minis but don’t worry, they provide major skin enjoyment. 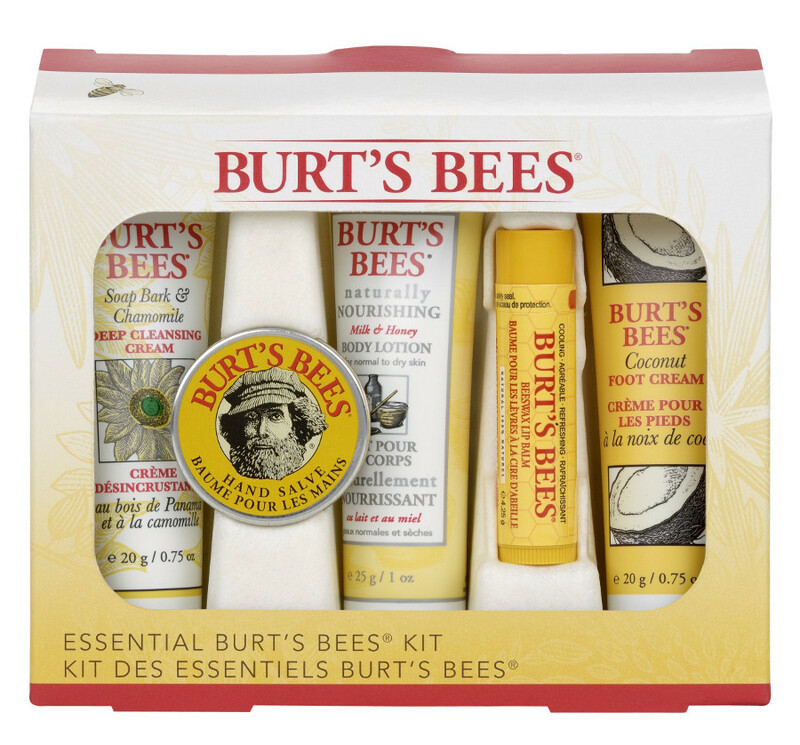 A great gift as the ideal introduction to the joys of Burts Bees. Contains beeswax therefore not suitable for vegans. 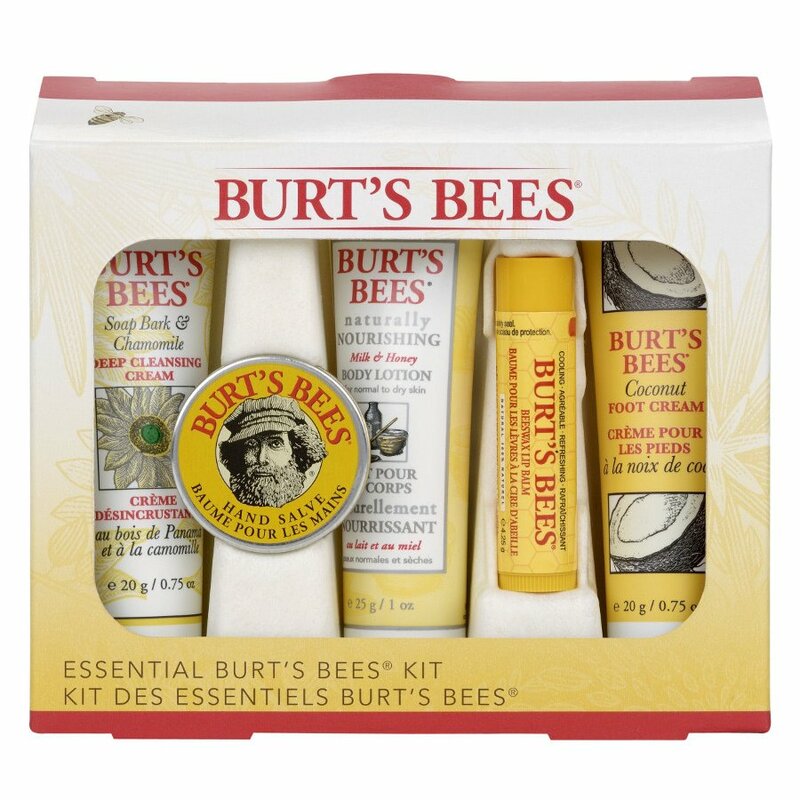 The Burts Bees Essentials Kit product ethics are indicated below. To learn more about these product ethics and to see related products, follow the links below.